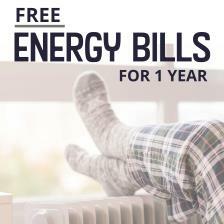 – and gives people the chance to WIN FREE ENERGY BILLS FOR 1 YEAR! This winter, Home Energy Scotland is keen to support local efforts to help people who may be struggling to heat their homes to stay in control of their energy bills and keep warm and well. As part of its winter campaign, the team in the Strathclyde and Central advice centre has devised a winter advice competition quiz. Gas and electricity bills are a significant part of household expenditure and during the colder months energy use tends to rise, in addition to which energy prices have risen recently. 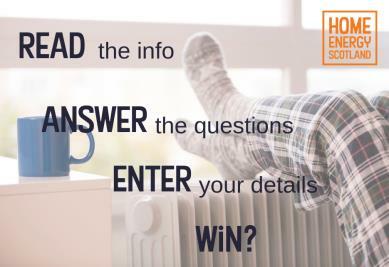 Enter – entrants answer three multiple choice questions, consent to entering and insert their details to enable Home Energy Scotland to contact the individual should they be the lucky winner. Home Energy Scotland, funded by the Scottish Government and managed by Energy Saving Trust, provides free and impartial advice to help people across Scotland reduce their energy bills and make their homes warmer and more affordable to heat. 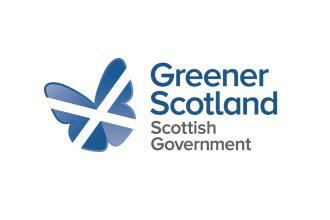 Home Energy Scotland can help householders of all tenures. Support ranges from home energy saving tips to help people save energy and keep their home warmer for less, to information about funding and grants available for new boilers, insulation and heating systems to help make homes more efficient. Advisors can see if people are eligible for financial support, benefits and incentives, and advise on shopping around for a cheaper energy supply. 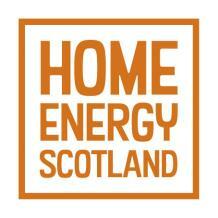 Whilst advice is available by telephone, Home Energy Scotland is not a typical call centre. Advisors provide free, impartial energy advice designed to help householders make informed decisions. Free home visit service available for the more vulnerable. Home Energy Scotland has no connection with any energy supplier, and does not cold call.